The Gardener's Journal: Patchy lawn: Top 3 Culprits - and how to fix them! Patchy lawn: Top 3 Culprits - and how to fix them! There are many reasons why yellow or brown patches might appear on your lawn. Here are the top three culprits to consider plus some easy solutions to overcome them. By weather we mean drought! If there has been a prolonged period without rain, your lawn may have dried out. Brown or yellow grass with irregular patches is a good indicator that the soil is parched. Solution: Prevention is better than cure and, hosepipe ban permitting, you should water your lawn throughout the hot summer months. Many say that mulch mowing can help during periods of drought as the tiny clippings release nutrients and moisture back to the roots of the grass plant and provide a protective screen over the soil. 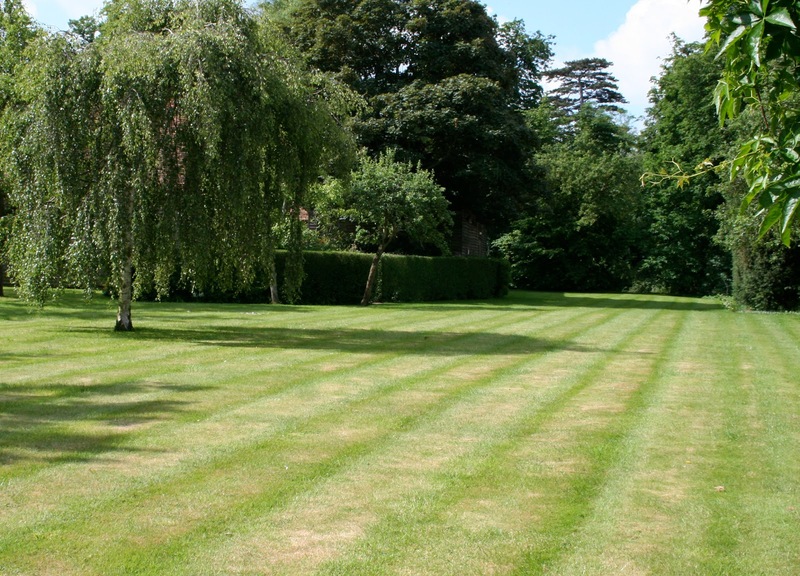 If your lawn is badly dried, try spiking or aerating followed by intensive watering. Characterised by very dark brown or even black patches, over zealous application of lawn fertilizer is a common cause of a damaged lawn. Sometimes, even when the application instructions have been followed to the letter, scorching can still occur. Solution: Always read and follow the manufacturers application instructions. Use a calibrated spreader (either a push along model or a powered spreader fitted to your lawn tractor) to accurately spread the fertilizer granuals on your lawn. If rain does not fall within two or three days of application, consider watering the garden. 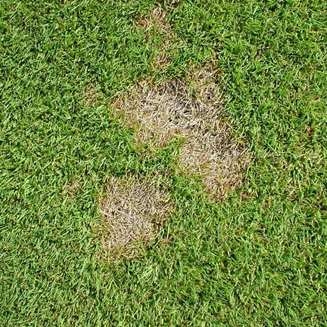 A common problem amongst owners of finer, ornamental lawns, Dollar Spot is a disease that causes round patches, around 5cm in diameter, to appear on your lawn. The patches are usually yellow or light brown. Solution: Annual feeding of the lawn with a nitrogen-rich fertilizer can help prevent the disease from taking hold. This should be done each spring - ensure that you read the manufacturers instructions when applying the fertilizer. 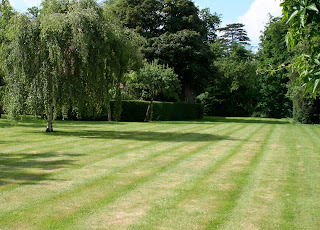 Scarification and aeration of your lawn in autumn will ensure that your lawn is fighting fit. If Dollar Spot persists, consult with your local garden centre for a suitable fungicide treatment.